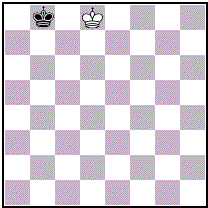 An 'M' appears where 'N' before has been." 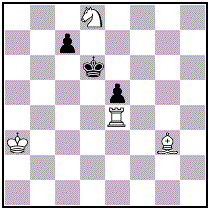 Originalforderung: 1) Black to retract his last move 2) White retract his last move 3) White to play 4) Black to play so that 5) White can give mate with Kt. 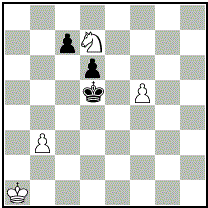 Originalforderung: 1) White to retract his last move 2) Black to play 3) White to play 4) Black retract a pevious move so that 5) White can give mate with Pawn. 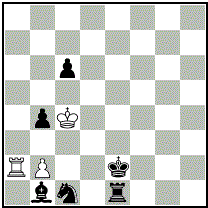 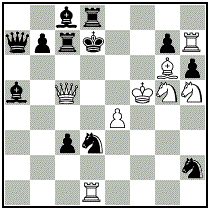 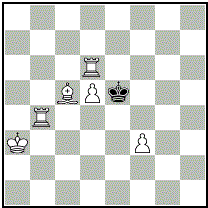 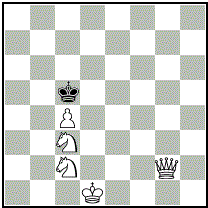 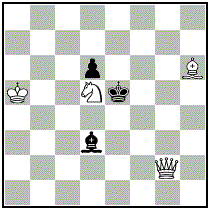 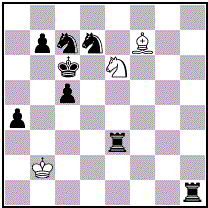 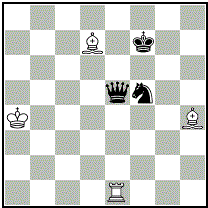 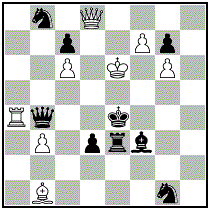 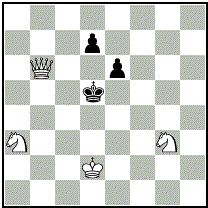 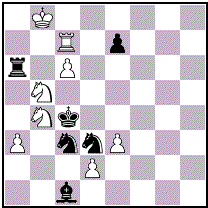 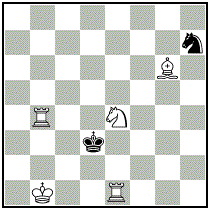 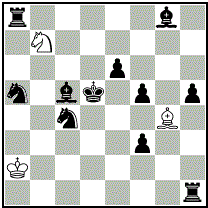 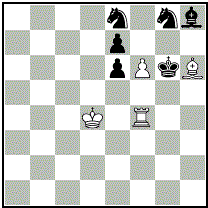 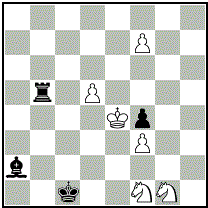 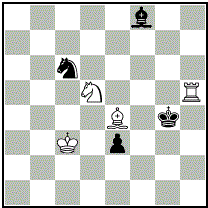 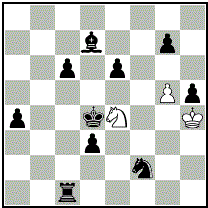 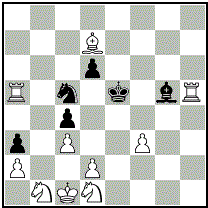 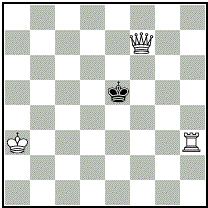 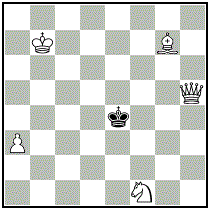 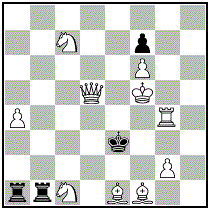 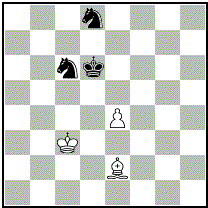 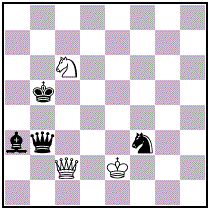 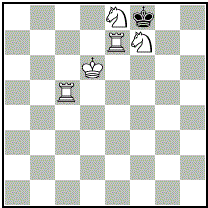 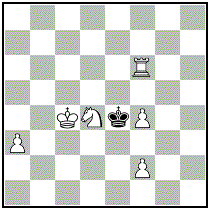 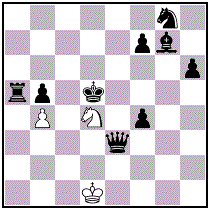 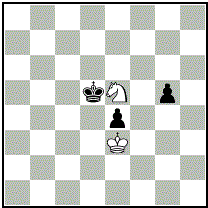 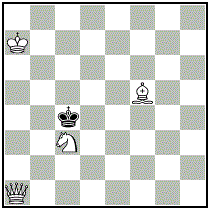 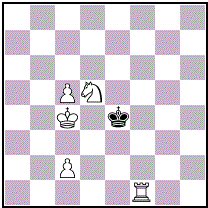 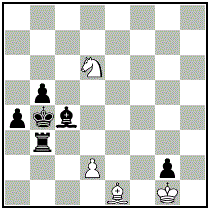 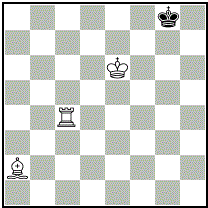 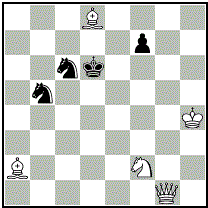 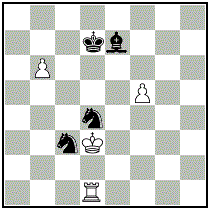 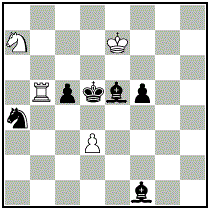 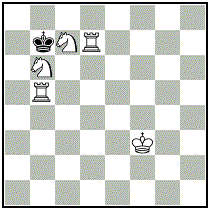 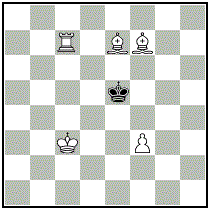 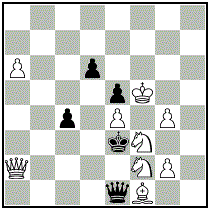 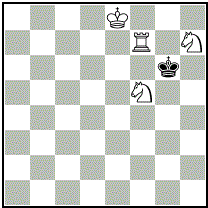 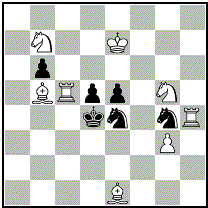 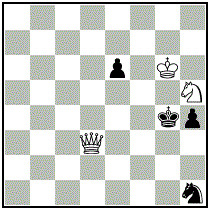 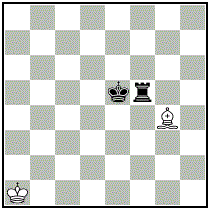 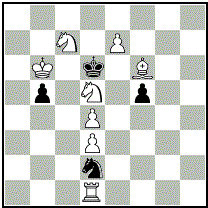 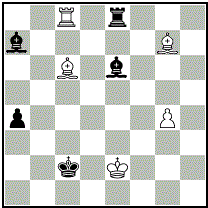 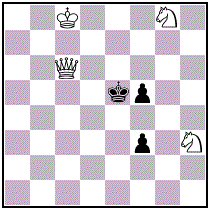 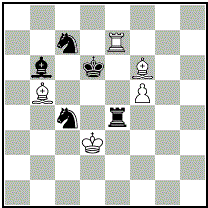 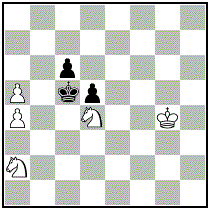 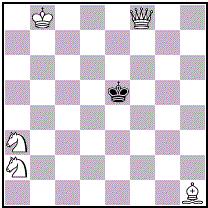 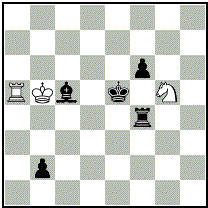 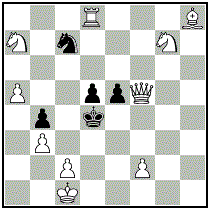 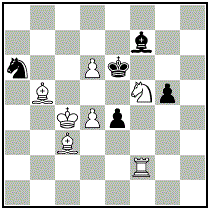 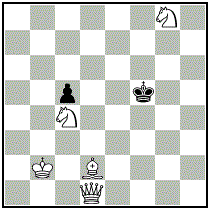 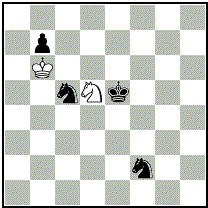 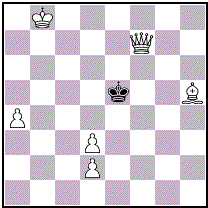 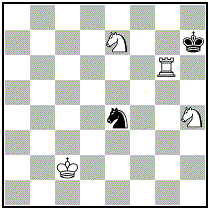 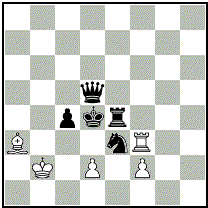 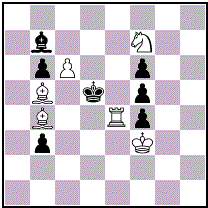 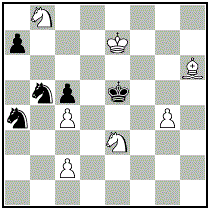 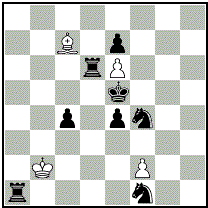 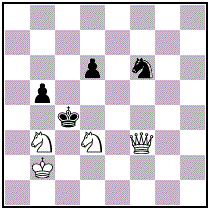 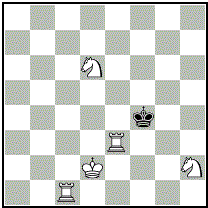 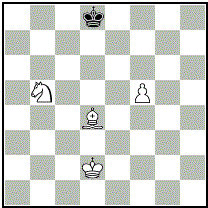 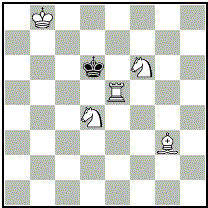 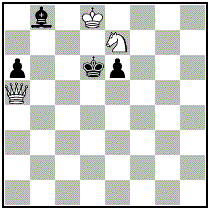 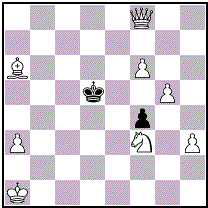 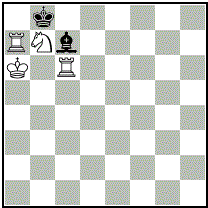 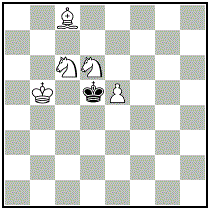 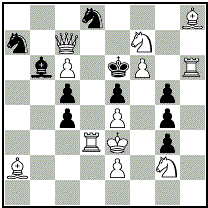 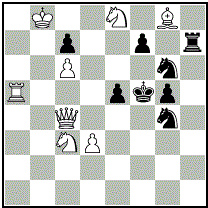 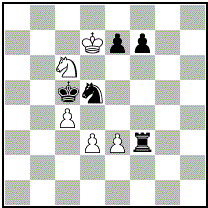 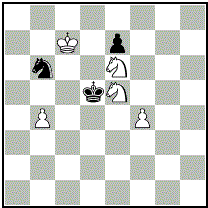 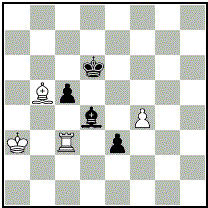 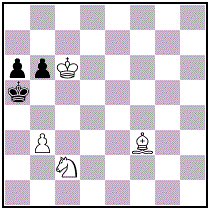 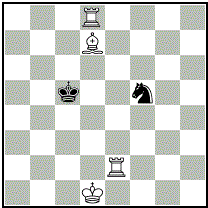 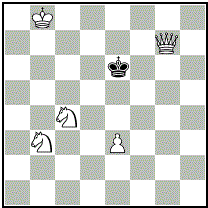 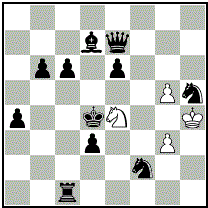 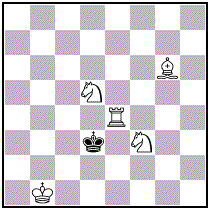 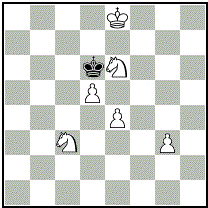 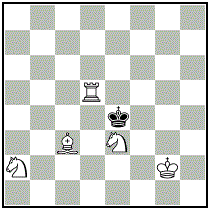 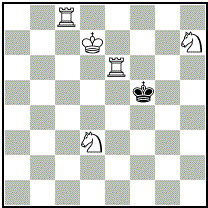 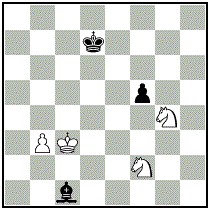 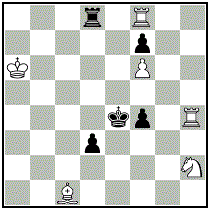 Originalforderung: 1) Black to play 2) White to retract his last move 3) White to play 4) Black retract a previous move so that 5) White can give mate with Kt. 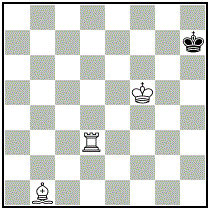 Motto: "Words of the dying"
Frank Müller: Korrekte Stellung siehe P1144237. 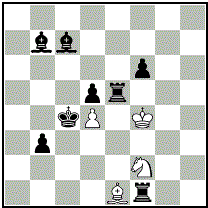 Beim ND in BCM 06/1893, Seite 291 wird 1. 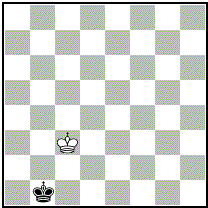 Preis Hackney Mercury angegeben. 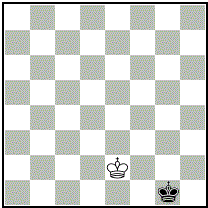 ohne diese als Nebenlösung zu bezeichnen. 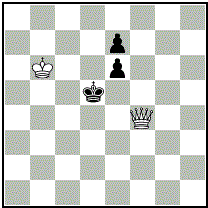 Motto: "Queen of the fairies"
In 150 Schachkuriositäten wird fälschlich J. Baird als Autor genannt. 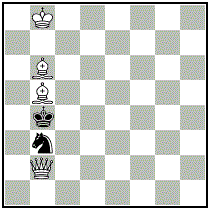 Motto: "The forest of Arden"
Motto: "The survival of the fittest"
Im Original in der "Leisure Hour" fehlte der sBb2, was die NL R: Kc4-b5 Ld4xSc5, dann 1.Lb2/a1+ Sc5-e4# ermöglichte. 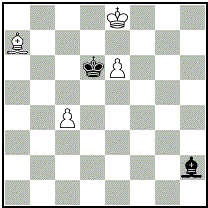 Motto: "All's well that ends well"
Motto: "Lily white and pitch black"
Originalforderung: That was an astonishing game between Miss Lily White and Mr. 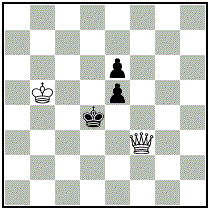 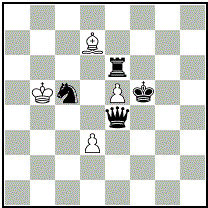 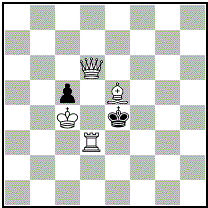 Pitch Black, and it was thought that lily could not possibly win when she had only a King at Q R square and a Bishop at K Kt 4, while her opponent had a Rook at K B 4 and King Cole at K 4. 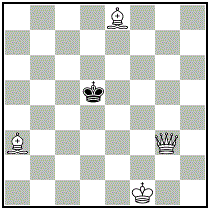 But she had an inspiration, and suddenly declared that she would take her last move back. 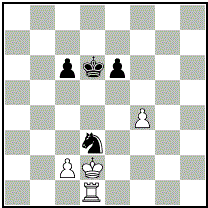 This caused a sensation, and her admirers reflected that she was a girl of resource, with a soul above rules. 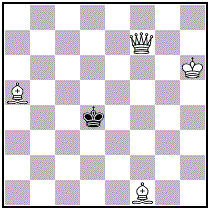 Mr. Black remarked that he always acted on the square, and he would take his last move back too; so, the position having been readjusted, he made another move, whereupon Lily mated him on the spot. 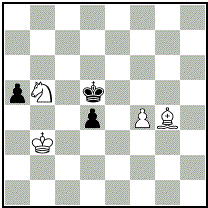 The discerning reader will no doubt find out how this was done. 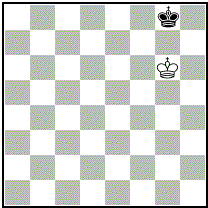 Motto: "The call to arms"